It’s an unusually gray day for the hottest month of the year, July. There’s a pleasant drizzle as I land in the Irish capital, Dublin. My cabbie Roger, a dyed-in-wool Dubliner, is in raptures over the weather and we launch into an intense discussion on the career choices of his teenage children, even as the city looms up. On the heels of a bucolic week in Northern Ireland – hiking and eating homemade scones and pineapple jam with amicable country-folk – I’ve been warned that Dublin will be ‘different’. 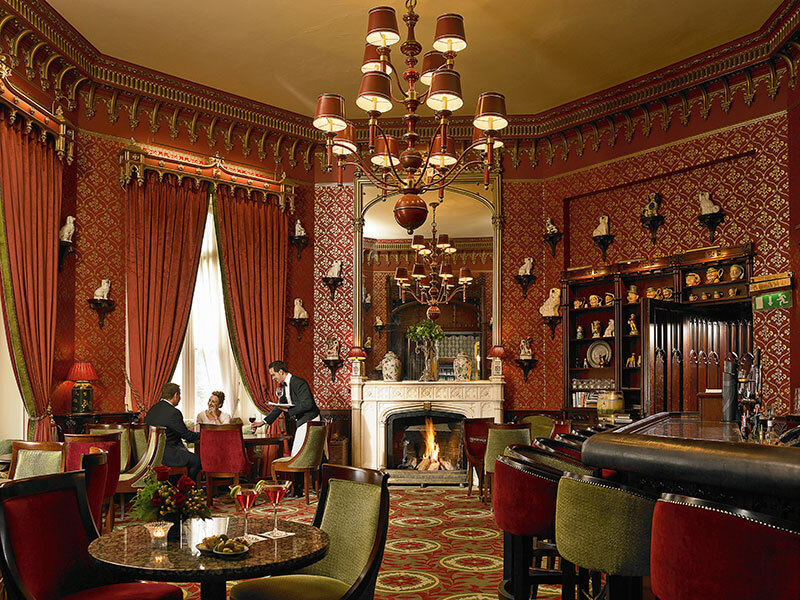 But judging from Roger’s glorious chatter, the Irish luck appears to have followed me eastwards, all the way to one of the city’s most distinguished addresses, The Shelbourne. Even inside its revolving door and into a decadent world of Italian marble, chandeliers and stained glass, there’s a sunny atmosphere, and good cheer. I can picture the legendary hotel, currently owned by the Marriott’s Renaissance brand, in all its Victorian pageantry — horse carriages, top hats, ball gowns and high society gossip pulsating through the corridors. This is the location where the Irish Constitution was drafted in 1922, where a galaxy of stars from Princess Grace (Suite 270 is named after her), Luciano Pavarotti, Jackie and John F Kennedy, Rock Hudson, Richard Burton, Rita Hayworth, Pierce Brosnan to Julia Roberts descended. After a quick refresh at my suite and a drawing open of the curtains for a peek out at the lush St Stephen’s Green, I dash out for dinner at Bang, just a hop and skip away from the hotel. (A sweet tip when you’re at this chic, feted restaurant — don’t leave without plunging into their dark chocolate bar with raspberries and grue de cacao tuile.) 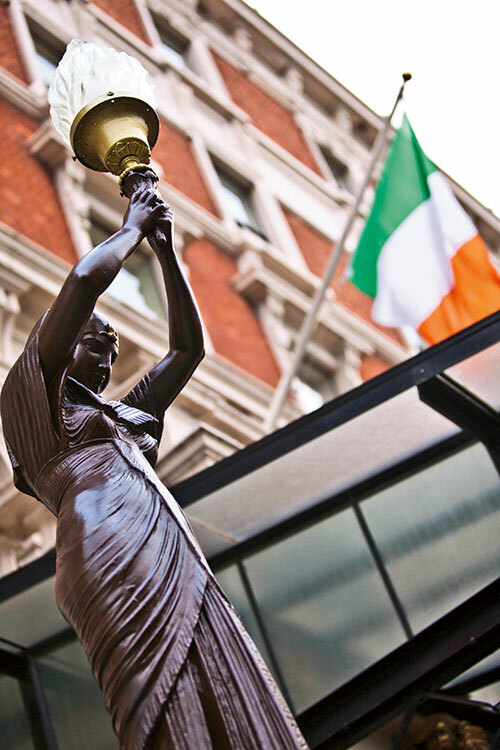 A night tipple at The Shelbourne’s Horseshoe Bar later, where I shuffle in to check if Bono might be around (he isn’t), I crash on my queen-sized bed, with a fleeting (also disturbing) vision of Peter O’Toole bathing in champagne, one of the property’s many urban legends. Picking up a silver-grey Renault Fluence from Hertz rentals the next morning, I get rid of city traffic in 20 minutes flat and am soon ‘sucking diesel’ (one of them delightful Irish-isms which means doing well) on the M50 barrier-free ring road. The M50 with its swish gantry-mounted video cameras, is at the heart of Dublin’s traffic outflow; it semi-circles the city between Shankill in South County Dublin and the international airport near Santry. Driving by a plethora of native signage, I cotton on to the ones that matter – garda (police), Áth Cliath (Dublin) and fáilte (welcome). The grumpy clouds have now floated away. It’s a lovely warm day at 22 degrees Celsius. There’s a brightly-distracting voice, Matt Cooper, of the radio show The Last Word, who’s skipping gaily from a Kate Perry concert to Daniel Day Lewis’ The Left Foot to a shocking teenage homicide on the daily news. It is in between this information overload and the breezy drive, that I suppose the leprechaun strikes. One minute, my GPS is working, and the next, it falls asleep, by virtue of which I miss the exit at County Limerick, only to realise the gaffe a good 30 minutes later. Swinging around, I hardly suspect that a wee male fairy in a waistcoat, hat and buckled shoes might have anything to do with what’s obviously a technical error. 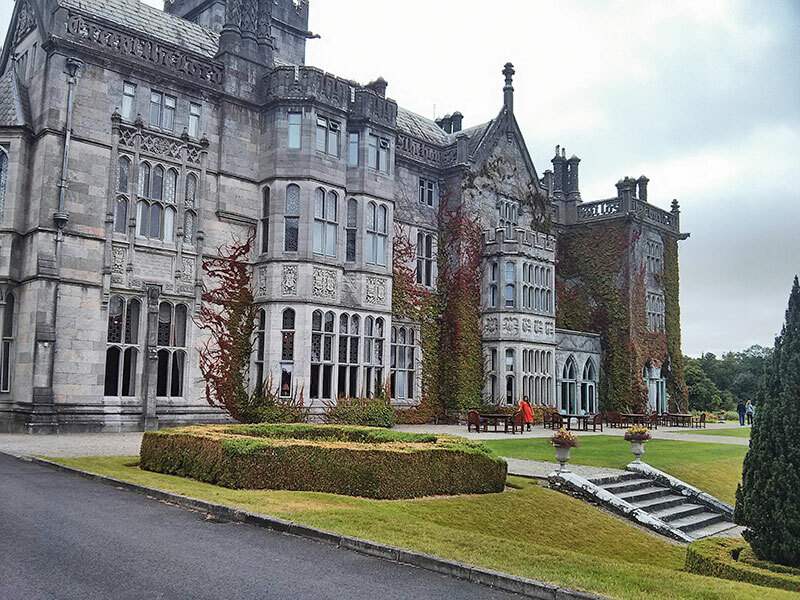 I have even less time to think about it, as I drive into the hoary Adare Manor, quite literally transporting into another world. A masterpiece of Georgian architecture, the award-winning five-star luxury property looks intimidating, stony and looming at first glance. Once I walk in — a genial butler in shiny coattails helping with my luggage — it is surprisingly cozy. The concierge is cheerful and a gargoyle on one of the pillars in The Great Hall looks down quizzically at me. 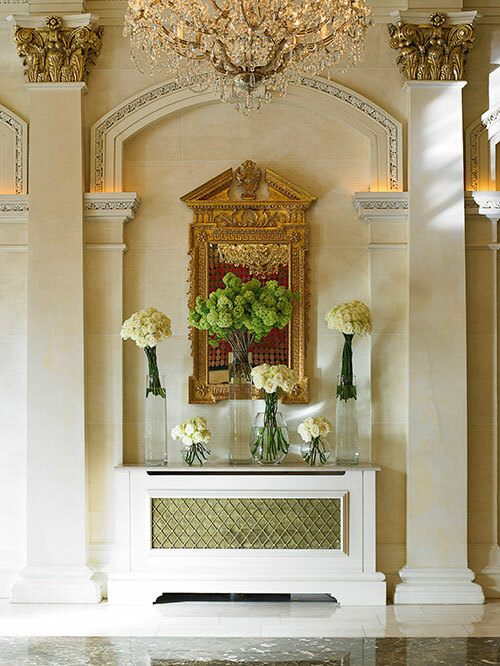 Given its pillared cavernous depths, chandeliered high ceilings and winding, carpeted stairs, there’s a wonderful amicability about the hotel and its impeccable staff. It’s most distinctive feature of course, is that Adare Manor is a Calendar House, its 365 stained windows and 52 chimneys marking the annual tally of days and weeks. Its owner, the Earl of Dunraven and his wife also incorporated symbols from India to Versailles, to denote the seven days and four seasons. An hour later — most of that time spent sighing at the view of the River Maigue from my arched window — I sling on some pearls and try to look my ladylike best for dinner at The Oakroom. The two Bangladeshi and one Romanian waiter are just the right amount of chatty. I get one of the best seats in this stately restaurant, a table for one at the intimate and romantic colonnade. 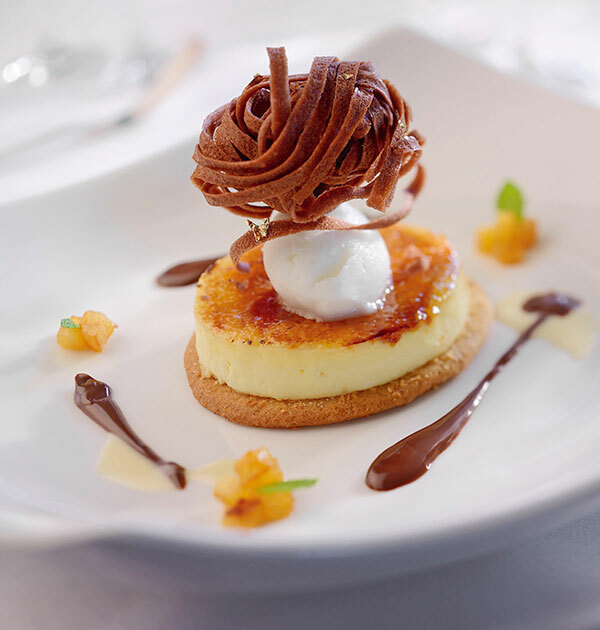 The eight-course meal that follows is extravagant, a deeply sensual treat of foie gras mousse, wild mushroom cappuccino, Irish Angus beef, truffle puree, with spectacular local trout and cod. 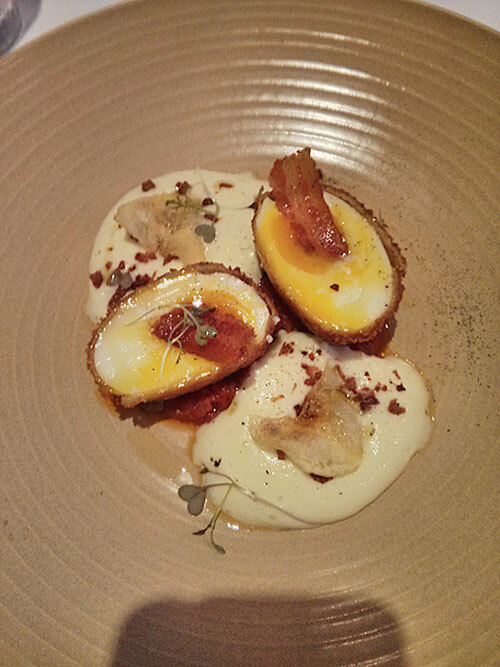 Like elsewhere in Ireland, dinner is slow-paced and designed to be luxuriated in. Before leaving the next morning, I take a walk around the property. It’s begun drizzling again which gives the gargantuan grounds and manicured lawns an even more dreamy spin. It’s easy to picture this as the location for a neo-Big Fat Indian Wedding, not the least because of The Lavender Cottage, a two-storied spa where the ladies can spend an entire blissful day trying treatments from British skincare brand Elemis, while the more sportily-inclined folks from the bridal party could tee off at the property’s 230-acre golf course. Meanwhile, the lucky couple could canoodle under a formidable Cedar of Lebanon tree, planted in 1645. Back at the house, there are surprises and delights that’ll take an entire day or two to sink into, including the most aristocratic suite, Lady Caroline’s Room. The Minstrels’ Gallery, the second longest banqueting hall in Ireland, is the perfect party spot, with its roaring fireplaces and Flemish choir. While walking through the corridors, the Earl’s personal philosophy is repeatedly carved on stone in both French and Latin — quae sursum volo videre — quite literally, ‘I wish to see what is heavenly’. As the French would say, fait accompli! Before I head back to Dublin, there are two more castles to visit. King John’s Castle in Limerick city on the banks of the Shannon, is an interesting departure from Adare Manor’s grandeur. A hardy 13th century fortress museum, it chronicles the history of the Vikings and Normans, whose attacks changed the geography and fortunes of this land. John, the Lord of Ireland, was said to have taken Limerick to the zenith of its power, even minting his own coins within the castle! Late for lunch, I drive in circles until the GPS (still under the influence of the leprechaun) acquiesces to lead me to Newmarket-on-Fergus, and another picturesque castle-hotel, Dromoland. 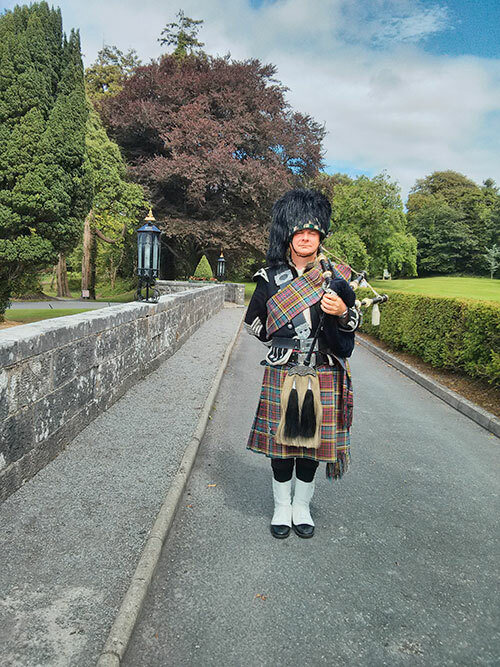 A 450-acre property approached by a wildly curving road, the baronial, midnight-blue limestone castle sits pretty in the middle of lush greens. 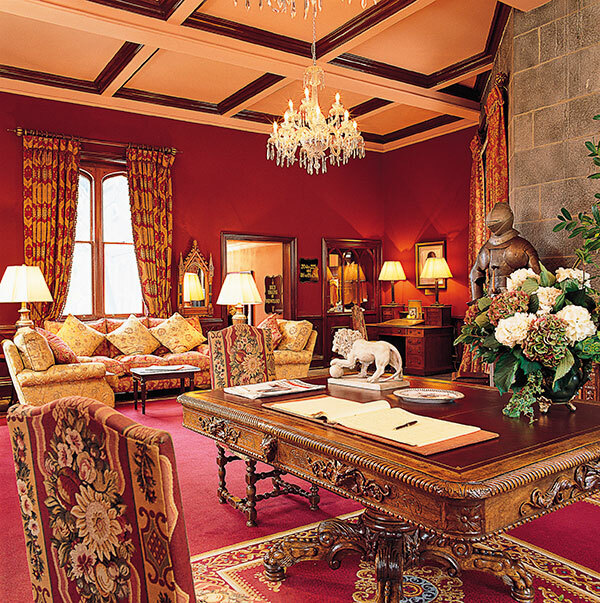 I have an appointment to see the director of sales, John Hehir, who after showing me around the castellated turrets and gothic porch of the castle adorned with armour, antiques and tassled drapes, suggests a quick coffee at The Fig Tree Restaurant and Bar. We chat about sports (Irishman Rory McIlroy has just had a historic win at the British Open Golf Championship), about Chennai and Mumbai (John’s colleague Fiona visited India last year) and a recent Bollywood shoot at The Shelbourne (Salman Khan’s Ek Tha Tiger). Because once is hardly enough, I take another round of the castle – The Queen Anne Court and The Moriarty Wing — also dropping by at the falconry (the castle offer a ‘hawk walk’ as well as residential ponies and boats and bicycles as means of commute for guests) and the championship golf club. 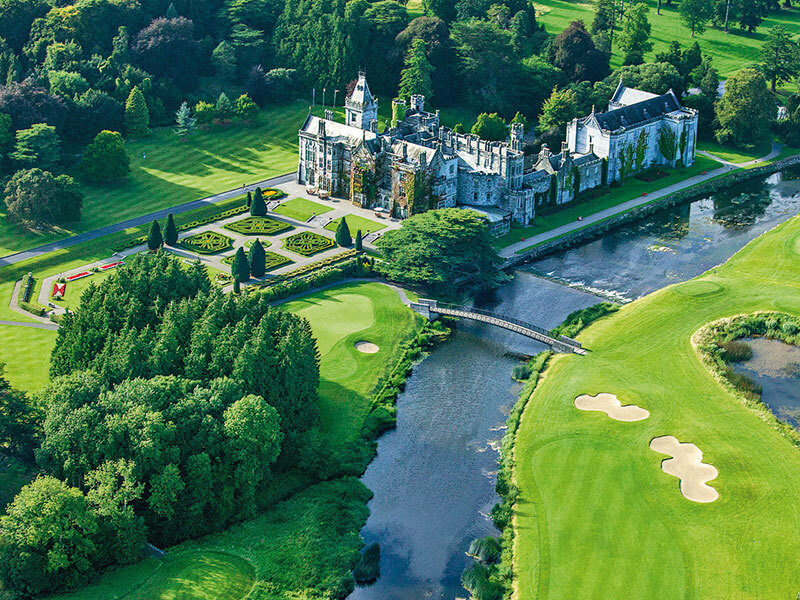 Just a few kilometres away from Shannon airport, both Adare Manor and Dromoland Castle make for quick luxe getaways on Ireland’s scenic east coast. Then again, like me, you could choose the drive from Dublin, if you fancy encounters with leprechauns. Just as I leave Newmarket-on-Fergus and am about to hit the N7, a car which has been honking incessantly behind me (very rare in these parts) cuts through and forces me to stop. The kind American driver hops off and brings to my attention a spanking new iPhone that’s been meditating on the boot of my Fluence for a full 20 minutes! “You’re lucky, it should have crashed long ago,” my saviour grins, while his kids in the backseat observe me like one would a nut-job. The phone belongs to John back at Dromoland. When I return it, he is grateful and equally incredulous and we have a good laugh. It wouldn’t have been so hilarious if the thing had fallen off! Leprechauns. Miracles. Irish luck. Call it what you will. Just keep a shamrock by your side when you visit this rich, misty, fairy-tale-dotted part of the Emerald Isle.